The 25h of April, Disabled Refugees Welcome got a pleasant surprise when 30 newcomers from Eritrea visited us. It was a good mix of people, where elderly, women, men and families with children shared a common worry – how would they manage in Sweden without support? The day started with an open dialogue where our field worker Rahel Abebaw Atnafu translated for the rest of the DRW team. It turned out that many are in great need of support to find the right help for their impairments. Several of our visitors had been in Sweden three to five years and still had not gotten the proper support, information on how to handle appeals or what support they have a right to for their impairments. Many of the stories sounded like a horror film where people are systematically excluded from taking part of the Swedish welfare system and sooner or later wither away instead of receiving support that promotes a right to an independent life. It is an ocean of disorientation where people that turn to different public authorities or societal organs do not receive clear instructions of who does what. This is something we in DRW have been able to notice during the short seven months we have worked within the project; not least when authority officials contact us wondering what the rules are concerning asylum seekers and the right to social support. It is inevitable to raise the question of whether disabled refugees are welcome in Sweden when we hear the story of a young man with visual impairment that has been told that he has no right to go to school, or get accompanying services resulting in him injuring himself further when falling down a stair. 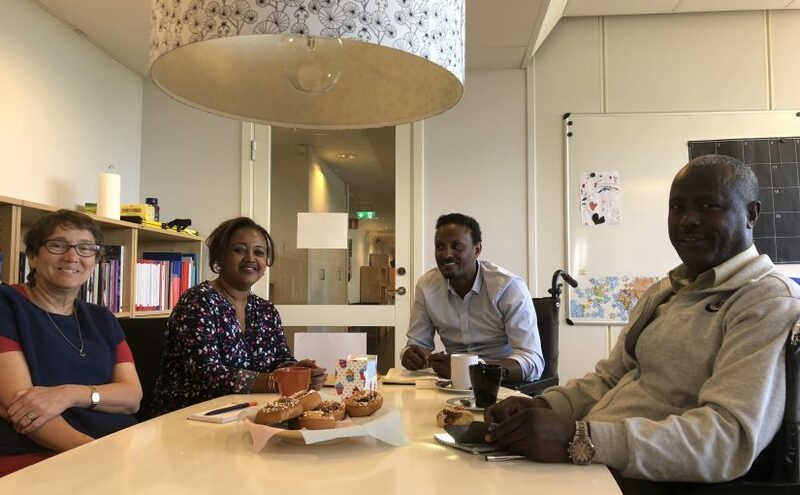 These people, who in spite of long travels and inaccessible transportation managed to get to ILI’s office and with broad smiles tell their dreams of finding a job, study, learn Swedish or finally find someone who can soothe the pain of war and loneliness. It brings so much hope and feeling of strength when people that had tough lives do not lose the conviction, reflected in their eyes, that things will turn out fine if you only believe they will and fight until you achieve them.